Welcome to the Year 11 page. Read our blog below for all the latest Year 11 news. You will find key documents at the bottom of this page. We are pleased to be able to share with you the Year 11 Vocabulary Booklet. This booklet has been put together with great care by your teachers, to equip Year 11 students with some of the key vocabulary you will need to be successful in your study of these subjects this year. The booklet can be viewed here, which includes information about how best to use it to support your studies. Year 11 are busy preparing for their Mocks starting the week of 26th of November. All students have received their timetables and parents have been emailed these along with a revision session timetable. It is great to see so many students everyday after school in S1 and working with subject staff across school. We have also attached the vocabulary guide below and students have been given a hard copy today. If there are any questions or concerns from parents and students please do not hesitate to get in touch. Wishing everyone the best of luck! Please also feel free to follow me on Twitter for more updates and photos on @MrsBerrill. I can't believe how quickly we have come to the end of Term 1, our last first term for Year 11. Everyone has made such a strong start to the year and is working so hard! Rest up over the half term as Mocks will be at the end of next term! I look forward to seeing parents and students at the parent consultation evening on the 1st of November 430-730. It has been a busy week at DGS! The Year 11 Prom has been booked for Milton Hill House for the 11th of July and tickets are available on parent pay for £30. The prom committee started fundraising at the House Opening Ceremony and raised £200! It was a beautiful day for the House Opening Ceremony and I enjoyed my time as HOY 11 and Head of Bussell House! 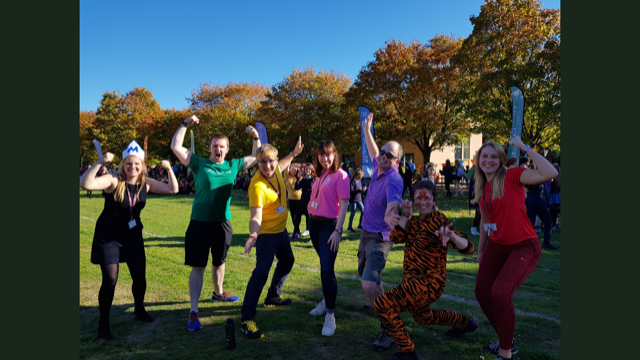 Well done for everyone's amazing house spirit! Go Bussell! We welcomed the RAF by helicopter for the Female Inspire Programme and the House Captain team was on hand to take part. 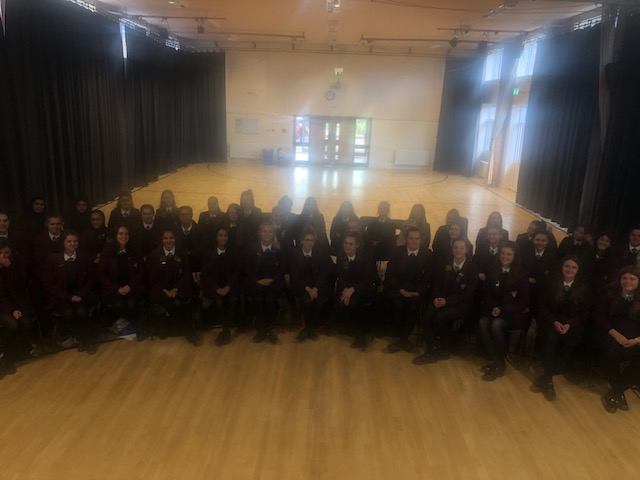 Then we celebrated World Mental Health Day as the Community Prefects teamed up with the School Health Nurse to encourage students to make pledges to look after their own and others mental health because if you have a brain, you have mental health! The Year 11 Parent Consultation Evening will be on Thursday the 1st of November 430-730 with letters and log ins to be sent out shortly. We hope to see you there! 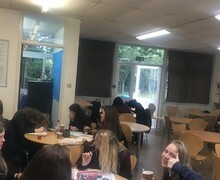 It was wonderful to see 25 Year 11's making the most of the study cafe after school yesterday! The study cafe is open five days a week for an hour after school and snacks are provided on Tuesday and Thursdays. We hope to see you there soon! 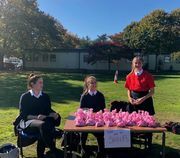 Miss Nichols sent me this picture of her 11 class (11X) when they conducted a range of pink pen activities to support their development from their mock. Here is an example of a model answer, which the girls underlined to show the 'best' geography phrases, which they then used to write perfect 6/6 answers. Well done, keep up the great work! A very warm welcome back to school and to Year 11! I hope everyone had wonderful and restful summer so you are prepared for the school year ahead! We know it will be full of challenges but we also know it will be worth it! We are looking forward to welcoming you and your parents to the information evening on the 13th of September at 6:15 in Cockcroft Hall. As always if you have any questions or concerns, please feel free to give me a call or email. All the best for a wonderful Year 11!